Developing a strategic approach to CSR creates a sustainable competitive advantage wherever you do business. Sticking with zero-sum, philanthropic approaches loses value and reduces impact. Getting this message out is the key to helping shift the discussion around CSR programs from a cost model to a value and impact model. 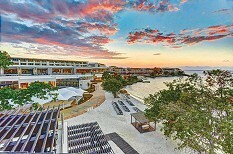 From May 28th to June 1st I’ll be joining some of the top CSR thinkers and practitioners at the Royalton Negril, Resort and Spa in Jamaica for a 5 day professional development event designed for executives from business, NGOs, and government who are responsible for strategy, stakeholder and community engagement. The goal is to show organizations how to be more effective at using CSR as a tool to create value and impact for their organizations and, at the same time, for communities, society, environment and the Sustainable Development Goas (SDGs). This masterclass, set against the gorgeous backdrop of the Caribbean ocean, is split into two distinct sections that will show participants how to align successful business and organizational outcomes with social and environmental value. 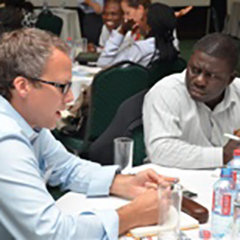 We expect to have a broad range of representation from C-Suite executives, board members, managers, front-line staff and community leaders from the private sector, NGOs, government, international organisations and foundations with participants coming from the Americas, Europe, Africa and beyond, including, of course, many from throughout the Caribbean. For more information and registration information click here. If you have any questions, you can email me directly.